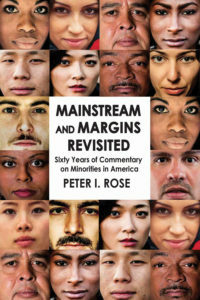 When his book Mainstream and Margins was published in 1983, Peter Rose’s writings on American minorities and those who studied them painted a vivid picture of what life was like in America for Jews, Blacks, and other minorities in the United States. Now, a third of a century later, he revisits the topic, with sixteen new chapters, in addition to seven from the original edition. Rose writes about other authors who have addressed many of the principal concerns of this book, ranging from novelists Tom Wolfe and Harper Lee to sociologists David Riesman, Robin M. Williams, Jr., and William Julius Wilson. Historical tensions between Jews and African Americans and debates about “liberal” vs. “corporate” pluralism seen from the perspective of both whites and non-whites are also discussed in this seminal volume by a master on the subject.